It could be another heavy year for Navel Orangeworm (NOW). David Haviland, UC Cooperative Extension farm advisor for Kern County and entomologist told California Ag Today that sanitation in almond orchards over the winter was not as good as it could have been. However, rains came late this season, and by the time the rains left, there was only a few weeks before spring. NOW could be early this year, but the crop is on time. “With all of this prolonged hot temperatures, particularly high night-time temperatures, the trees are shutting down a little bit at night compared to what they would do if the nighttime temperatures were cooler,” Haviland explained. As a result, harvest is not coming as quickly as people would like. “The problem is that the longer the nuts are in the orchard, the greater chance there will be NOW damage,” he said. Timely crop protection sprays are recommended. We are completing our coverage of the importance of orchard sanitation to push back on Navel Orangeworm (NOW) pressure for 2018. We recently spoke with David Haviland, UC Cooperative Extension entomologist and farm advisor for Kern County. He spoke about how sanitation is the most important practice that needs to be implemented. Pistachios were also a concern when it comes to NOW. NOW was right on schedule in pistachios. The pistachio crop was a little behind and so it was common to do a normal monitoring, normal spray program, and set up for a normal harvest. But then the crops sat out there for another 10 days or two weeks, which, of course, makes it very vulnerable to NOW worm damage. At the same time, the industry is full of examples of growers that had very acceptable damage. “Growers that did follow in greater pest management practices … did get their sanitation done. They documented that those things are really important, they are very effective, and the growers that weren’t able to get that sanitation done hopefully got a case study, personal experience in the value of sanitation,” Haviland said. Every grower needs to do their part by incorporating sanitation, noted Haviland. “Obviously, if you’re the only one sanitizing amidst a bunch of growers that aren’t, that’s a concern,” he said. California Ag Today has continued coverage on the pyrethroid class of insecticides, which were under review by the EPA. The critical industry comment deadline has been moved to honor before July 7th this year. California Ag Today spoke with David Haviland, an entomology farm advisor with UC Cooperative Extension Kern County about his philosophy on commenting regarding the pyrethroid class of materials. “From my perspective, please don’t go on there and just say, ‘We need pyrethroids.’ What they really need to know is what importance do these pyrethroids play to that particular commodity on that particular farm? What’s being done to make sure that the risk from those products are mitigated? One of the concerns of pyrethroids is if they can move off-site into waterways. That’s a legitimate concern. All those things need to be taken into account and then reviewed,” he said. An easy website to go to comment without that complicated government URL is simply Defendbifenthrin.com. The EPA is reviewing the pyrethroid class of crop protection materials and it’s concerning the Ag industry, which often turns to the materials as part of an integrated pest management strategy – recommended by the University of California. David Haviland – an entomologist with UC Cooperative Extension Kern County – said he is not too concerned with the EPA review. “Every pesticide should be periodically reviewed to make sure that all new information about a product gets reconsidered. Our ability to test for products changes over time. Our experience with products changes over times. The role of products changes over time, so a re-review is warranted. I don’t have any concerns with that,” Haviland said. Of course, the big question is what is the current role of pyrethroids in the grower’s toolbox? “It absolutely has a role. The best way to manage pests we know is through integrated pest management, and integrated means using lots of different tactics. Sometimes, there’s a way to control a pest completely with biological control, sometimes there’s a cultural control, but there are cases where pesticides are needed,” Haviland said. “There’s a time and a place for a very soft surgical strike against one-species pesticide and there’s also a time and a place for a product that can kill two or three or four different pests at the same time. Sometimes, those broader spectrum products are the only ones available for certain pests,” Haviland explained. 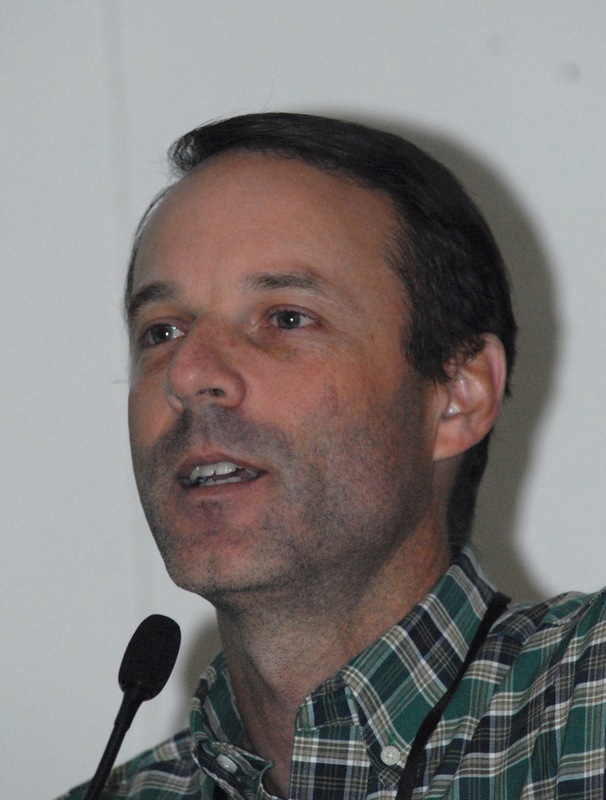 “Pyrethroids fit that role as the last group of broad spectrum products that are effective on a wide range of pests, particularly with organophosphates, which is being phased out of most crops,” Haviland said. There is time to comment on this EPA review – and this time expires March 31, so it’s critical for anyone who needs these pyrethroids as an IPM strategy to go to www.defendbifenthrin.com and post a comment. David Haviland is a UC Cooperative Extension Farm Advisor based in Kern County, and he’s focused on etymology. He spoke to California Ag Today about the current review by the EPA on the pyrethroid class of crop protection materials. He noted that the EPA is concerned about the material making its way to waterways. “It’s a legitimate concern in that pyrethroids can bind to sediment, and if that sediment was just hypothetically say, worst case scenario, what if you sprayed a product into a orchard or a field right next to a river on the day before it rained?” Haviland asked. “We don’t do that, but hypothetically if you did that and that sediment washed from that orchard out into a stream, yes, those pyrethroids can affect aquatic invertebrates and of course little tiny organisms. These little invertebrates are the basis for food chains in the stream systems,” Haviland said. “Just like if you’ve got a household cleaner, it says, ‘Store out of reach of children.’ So yeah, there’s a risk of that product, and you mitigate or solve that risk by only using it where it’s appropriate, storing it where somebody can’t get it,” Haviland said. “The same is true with pyrethroids. If you read the label, there’s very specific use instructions on where you can and can’t use the product as well as other details about waterways and buffer zones and things like that,” he said. All that is taken into account to make sure that any risk that may occur doesn’t turn into an actual real problem. “That’s part of the review, for the EPA to look over that label,” Haviland said. The EPA review is to make sure that any mitigations on the label and use patterns adequately take into account any risks that may be real. 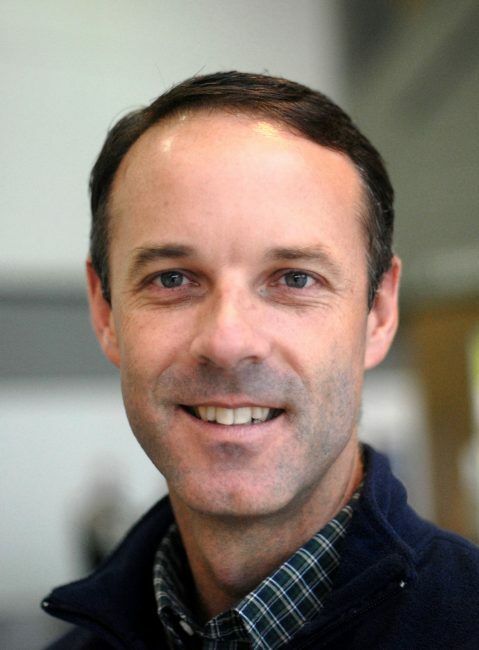 “I expect it will be done scientifically and prudently and based on that, I hope pyrethroids are in the tool box for a long time,” Haviland said. This year, near-perennial spider mite pressure on almonds was delayed until hull-split. “That’s the big story this year,” said David Haviland, UC Cooperative Extension entomology farm advisor, Kern County. “The orchards of people who did early management programs well their fields looked great until hull-split. And the orchards of people who did not do anything well their fields looked great at hull-split as well—when the mites showed up,” he said. “And a good population of them arrived,” Haviland continued. “People sprayed, but now we’re at the beginning of September, and everyone I have talked to in the Southern San Joaquin Valley have reported the arrival of the sixspotted thrip, a beneficial spider mite predator. The thrips came in fierce, cleaning out anything that didn’t get controlled prior to Nonpareil harvest,” said Haviland. “We are on the tail end of the season in Kern County, and mites ought to be going away in a couple of weeks,” he said. “Growers seem to be happy. 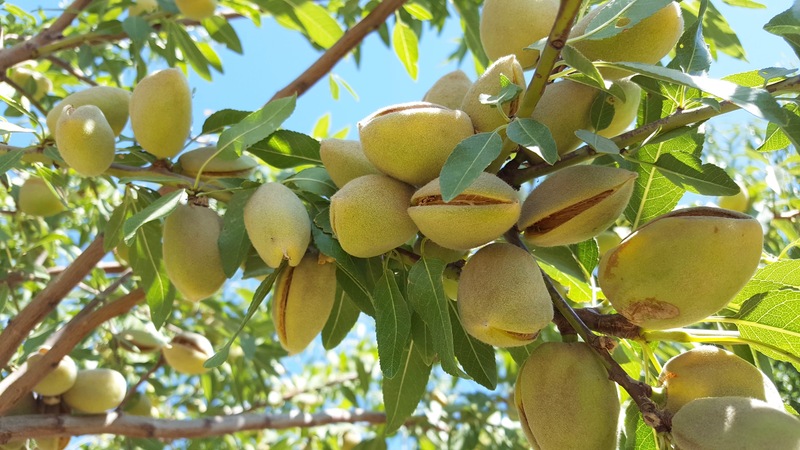 We are about halfway through the harvest, hoping the second half of almond-shaking goes just as well as the first,” said Haviland. David Haviland says pistachio growers should be aware of the damage caused by Gill’s Mealybug. As Gill’s Mealybug overwinters, a new generation will appear in May, and growers should treat the first generation around June 1. Gill’s mealybug is a relatively new pest of pistachios in California. “It was first recognized in the late 1990s in a an orchard near Tulare. It has now spread up to Colusa County and has move down to Kern County,” said David Haviland, UC Cooperative Extension Kern County, who organized the field day with Elizabeth Fichtner, UC Cooperative Extension Tulare County. “Population-wise, growers will get millions of crawlers at harvest, but if you come back to the tree in the spring, you will see maybe one or two per pistachio cluster, so there is a huge winter mortality,” said Haviland. Haviland stood by a tree that had only about one mealybug per 10 clusters in the May, but now the untreated trees in the trial have clusters that are covered with honeydew, and now blackened with sooty mold, with 30 or 40 adults on the clusters. The lower leaves on the trees were turning black from the sooty mold. Haviland looked back at the tree he was standing next to, and said: “If you have tree that looks like this, with a lot of mealybugs and sooty mold, let it go; you can’t do anything about it. 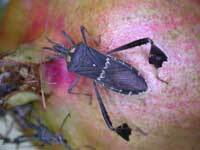 Come back the first week of June 2014 and treat it with an insecticide and you should be clean at harvest next year. It’s really that simple. Insecticide timing is important, but there is a widow. Of all the products registered, they are most effective on crawlers. “So you really want to get them the first week of June when the crawlers are out regardless of which product your using,” Haviland said. During the upcoming harvest season, Haviland warn growers to ask the harvest crew to wash down the harvesting equipment and make sure no tree debris from another orchard is on the equipment. “And if growers have an orchard with mealybug, please inform the harvest crews so that they clean the equipment before moving to another site, which may not have mealybug. “The harvest crew should blow off all leaf trash and hose the equipment down before it goes from property to property. Growers should insist upon this,” Haviland said.